We’ve got a serious case of spring fever, so we’re releasing our round-up of best patios in Charlotte at the first sign of warmer temperatures to give you time to try them all. Here’s where you should be sipping and dining al fresco all spring and summer long, organized by neighborhood to make planning easy. Don’t let the bustle of the city fool you. Whether you’re looking for somewhere to grab happy hour drinks after the clock strikes five or you’re coming into the city for a ball game, Uptown has plenty of spacious patios. 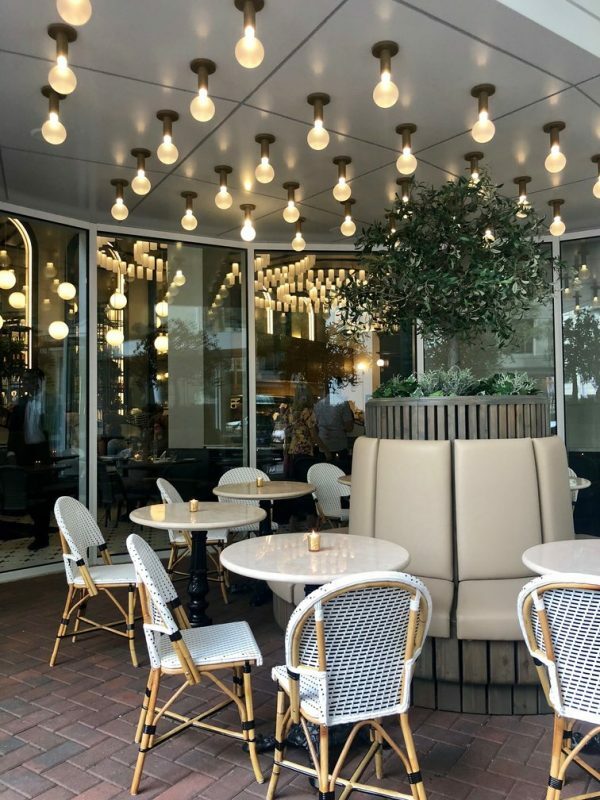 Uptown’s La Belle Helene is just as stunning outside as it is inside. Dine on French bistro fare from the patio to enjoy the early spring weather. Appropriately situated on the corner of Trade and Tryon, Essex Bar & Bistro brings a fusion of handcrafted food and drink to Uptown. The first thing you’ll notice is the beautiful patio overlooking our city’s busiest hub, but you won’t be disappointed with their menu blending international cuisines. Fran’s Filling Station offers an outside patio that will open on April 25. Enjoy your favorite dishes with a dose of sunshine. Roots Cafe boasts another al fresco option – boasting a patio that doubles as a kind of outdoor oasis.